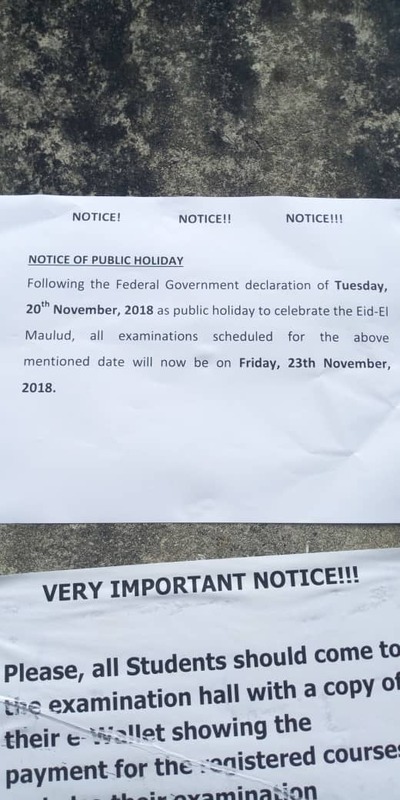 Following the Federal Government declaration of Tuesday, 20th November, 2018 as public holiday to celebrate Eid-El Maulud, we write to inform you that all examinations scheduled for the above-mentioned date will now be taking on Friday, 23rd November, 2018. 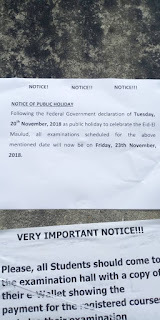 All Study Centres are to ensure that all examination scripts are captured before moving them to the various marking zones on 24th November, 2018. This is for your information and proper guidance.